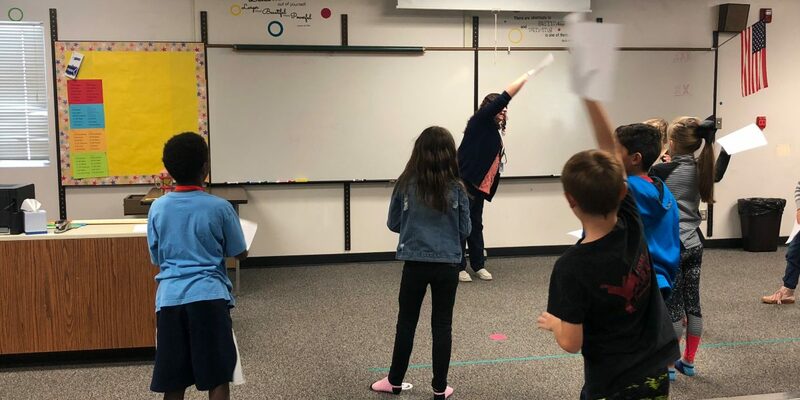 Norma Zaugg, BTSALP Dance Specialist at Stewart Elementary in Davis School District, worked with third grade students to explore gravity, force, and friction through improvisation and choreography. Students learned how to use force to keep a simple piece of computer paper attached to their bodies while exploring the elements of dance. Once they finished working through these improvisations, students created a class dance based on their findings.